Gryphon is a Hanoverian/Quarter Horse cross who has had many jobs. He has done dressage, hunter/jumpers, and was a lesson horse. In 2014 he was adopted by Jack and Sam Couch, volunteers here at High &amp; Mighty. So began Gryphon’s career as a therapy horse. For almost 4 years Gryphon was the backbone of our program. We could put any child or adult on him and he would take care of them. He retired this year at the age of 29! 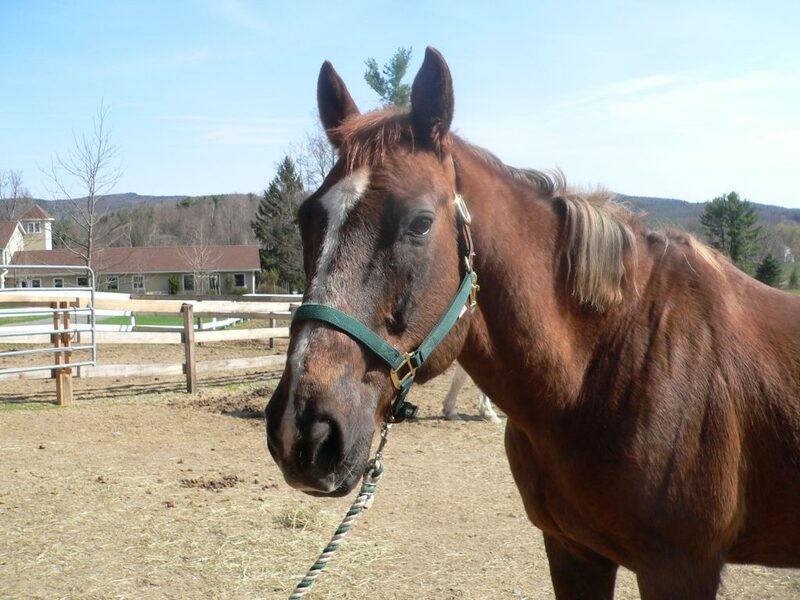 In his honor, we have started a scholarship fund to ensure we can continue providing equine therapy to everyone in need. If you would like to honor Gryphon and the characteristics he embodies please consider donating to the Spirit of Gryphon Scholarship Fund.